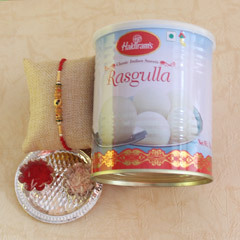 If you are upset that you won’t be able to tie a traditional Rakhi thread on your brother’s wrist on this Raksha Bandhan, our website is going to send it over to your brother and also add a tub of Rasgulla. This will surely sweeten his day and sweeten the bond between you both. 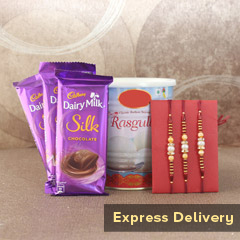 We will let you select the perfect Rakhi for your brother from the many options available on SendRakhi.com. 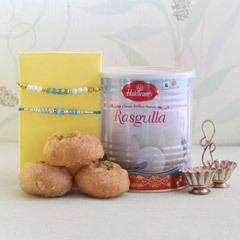 Rakhi with rasgullas is a great way to bring a smile to the receiver’s face. 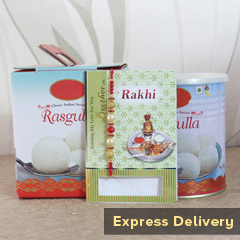 Rasgulla is a much-coveted sweet all over India, especially in Bengal. 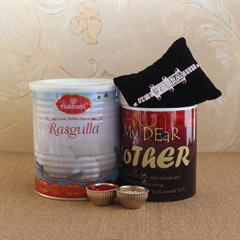 There are very few people who don’t like this delectable liquid filled dessert, and if your brother is not one of the rare few, you can shop from the online store Sendrakhi.com to deliver this combination right to his doorstep. 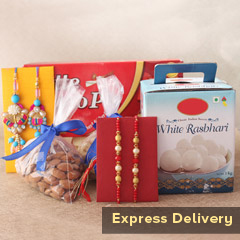 There are many varieties of the Rakhis in different fancy designs, which you can buy at unbelievable prices. 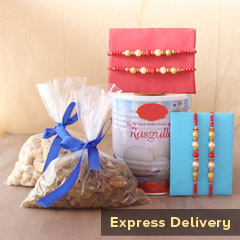 Our website is offering free and express delivery of the Rakhis you purchase both within India and also, internationally. We follow a reliable and safe process to get this precious gift delivered on the same day at some select locations. 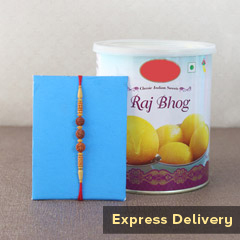 You may rest assured that you are just a few clicks away from sending the perfect Rakhi with Rasgulla combo to your brother.